The Urban Politico: Notice the influx of Gold commercials? With the value of the dollar going down, the price of gold (and silver) is going up. 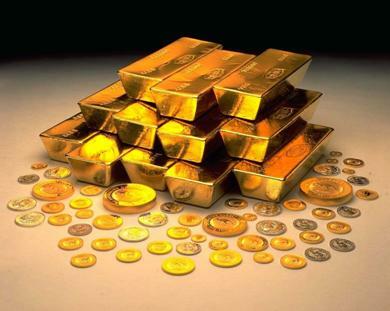 Gold and silver are tangible assets. Even in China, where they publicly say that Gold is not a substitute for US Treasury Bonds, they're still "secretly" buying gold. Additionally, China has cut some of its US treasury holdings and has increased its good reserves almost 76% since 2003. These are signs that China is losing confidence in the dollar. India also started buying tons of gold. I know most progressives and left leaners (including myself) were/are for stimulus packages to stimulate the economy, but there is a point of diminishing returns (if we haven't crossed it already). Printing money decreases the US dollar. If the dollar does bottom out, gold could play a big role in the world because it will retain some level of purchasing power. Getting back to my instructor, he told me to buy silver options and hold on to them. If I would have taken his word back in September, and took advantage of the rise in gold and silver in 2010, I could have made some nice pocket change. However, instead of lighting my cigars with $100 bills, I'm kicking myself for ignoring him. But I have noticed a rise in commercials and request to buy YOUR gold. Have you seen them? "Cash for gold" signs everywhere. They're not only on TV. Just last week I was walking through the airport and a young lady at a kiosk stopped me and tried to pitch me on sending her company my gold. They ask you to send ANY gold you have to a company, and that company will send you a check for a certain dollar amount. This, I see as genius. You send us your gold chains, we send you a couple of dollars, melt down everything we get, voila, a commodity. It appears that someone took note of the declining value of the dollar, and decided to buy in gold. Last year, many people doubted gold would reach $1400/oz. Currently it is at $1311/oz. Who knows how high it can go? But the next time you see the commercials, you will know why. Gold and silver is where rich people spend their money. With the gap between the rich and poor widening, why don't we know more about Options and Future markets? Was it a genius move to have people send in their gold for cash, or was it exploitation?